It's a fact of modern medicine that the most routine preventative measures can often make all the difference in preventing or minimizing some of the most serious diseases and disorders. This is just as true for the eyes and vision as it is for any other aspect of your health. Here at Reeve-Woods Eye Center, we want you and your family to keep enjoying optimal eyesight for life. That's we provide eye and vision exams for Chico, CA. You might assume that only those individuals who have vision problems are sustain acute eye issues need to get their eyes examined. 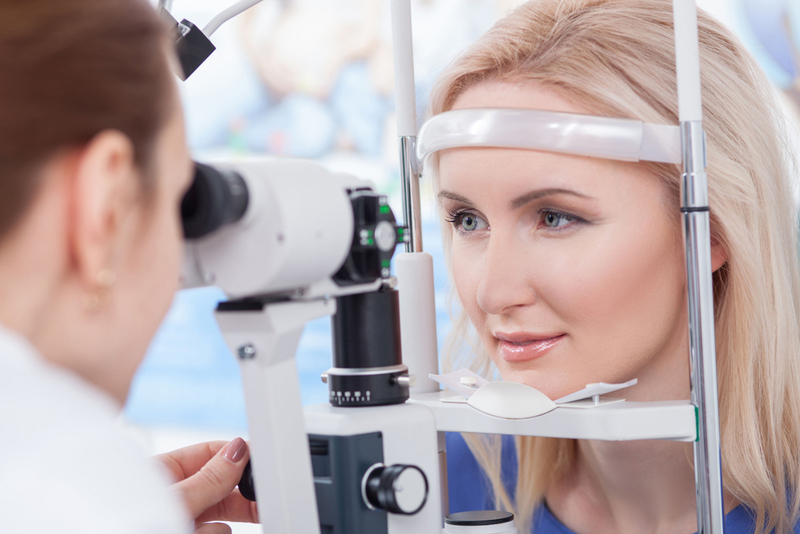 The truth, however, is that everybody needs eye exams on a regular basis, no matter how healthy their eyes may seem or how sharp their vision appears. Some of the leading causes of blindness, including macular degeneration, diabetic retinopathy and glaucoma, show no external signs and may not even start affecting your vision until permanent damage has already occurred. These dangers grow even more elevated in seniors aged 60 or over, who must get annual eye exams without fail. Even small children need a series of pediatric eye exams to check for any eye diseases or functional problems that might impair their long-term vision. Our vision team offers eye exams for these age groups, along with regular exams for working-aged adults and older kids. We also check how well your eyes are functioning. You will view and respond to various lights or patterns so we can study your focusing, teaming, tracking, and visual processing abilities. Vision testing allows us to understand how a possible refractive error might be affecting your eyesight at certain distances so we can prescribe the appropriate corrections. Your eyesight is too important to be left to chance. Call Reeve-Woods Eye Center in Chico, CA at 530-899-2244.